Where little brother Collared Dove is making strong progress, the Turtle Dove shows a steady decline. It is not clear why this is so. 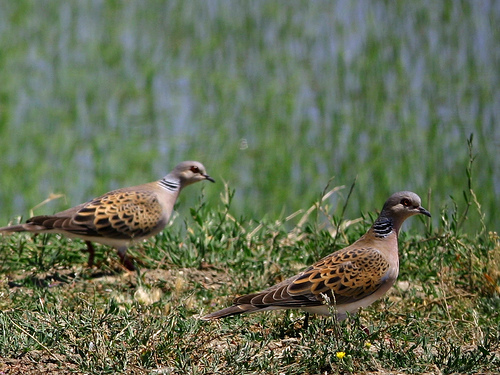 The Turtle Dove is certainly a much shyer bird than the Collared Dove. 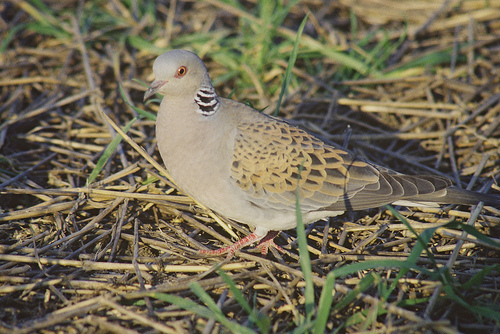 The Turtle Dove has brown wings and a black-and-white striped spot on the neck. Striking is the dark tail.